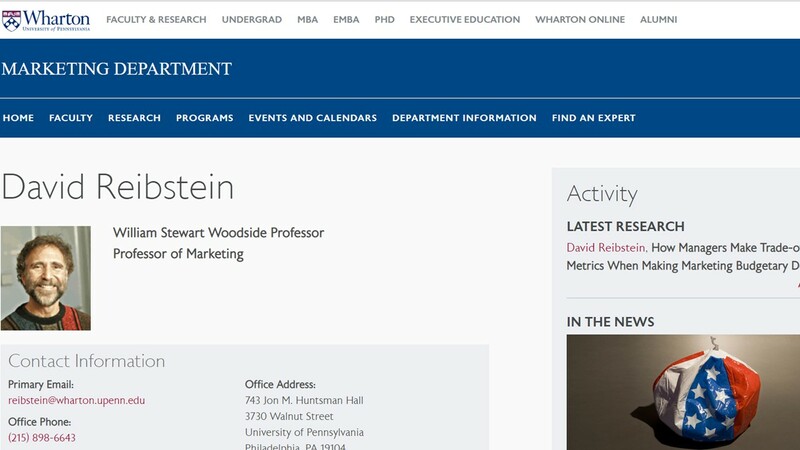 Dr. Reibstein at the Wharton school of the University of Pennsylvania has a simple, but powerful exercise for students and managers. He likes to ask the MBA students and executives in his marketing class to plot a curve for how they think a company’s sales might trend with varying levels of marketing expenditure. He then asks them to do the same for profits versus the marketing spend. This is part of his pedagogical approach to let students challenge themselves before he shows them how he might think about the two key metrics, sales and profits, in relation to marketing spend, based on decades of research and teaching. Dr. Reibstein is intrigued about a small twist to this exercise. Now, instead of asking students to write their answers privately on paper, what if he conducted this exercise with the students online, where each student enters their views on an online dashboard like here? You might enjoy trying it yourself. Once all submissions are in, Dr. Reibstein would then show the range of submissions from the entire class up on a screen. Everyone would see who is close to the expected response, and who are the outliers. The curve you plot of course depends on your assumptions, your past experiences and how that might have colored your perspective. The experience has broad expected applicability to the case-based teaching methodology used in business school classrooms. Why? When Dr. Reibstein walks into his marketing class to lead a case discussion, it’s valuable if he can see the distribution of views and recommendations on the assigned case from his class. He finds it interesting that Trefis dashboards technology now makes that possible, without him having to review any of the submissions in advance. Instead of trying to guess which students might have interesting perspectives, being able to see the distribution of views overlaid on a single dashboard, would allow Dr Reibstein to select students likely to have a different take than others. Hearing such students explain their assumptions, would offer others an opportunity to learn from the collective thinking – something of proven value as opposed to a linear, instructor-to-student learning only. Being able to select students based on their views on the case, also helps Dr. Reibstein guide the case discussion to bring out the optimal many-to-many learning. In addition, students and executives will be able to visualize, and compare their views versus their classmates directly on the screen, raising the intrigue, overall interest, and follow-on conversations. After all, seeing each other’s views is expected naturally foster discussion among peers. There is a different level of student engagement expected, as discussed previously. There is something powerful about the simple act of committing your views, sharing them, and comparing with others, that Dr. Reibstein believes is valuable for learning and internalizing a concept. He’s excited that the tool has potential to bring out the desired dynamic efficiently. While not quite mind-reading, this feels like a pragmatic approach. For additional questions you can reach Dr. Reibstein here and read more here.